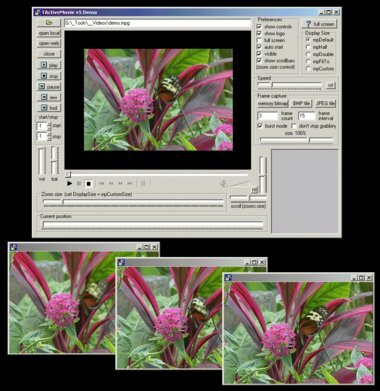 TVideoGrabber is a versatile video capture component and media player component available for Delphi and C++Builder (as a native VCL component), or for Visual Basic and Visual C++ (as an ActiveX OCX component). 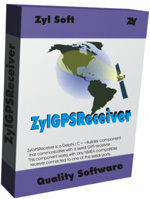 It has been designed for an easy, intuitive and fast development of applications including video. TVideoGrabber captures analog or digital video sources like Firewire (IEEE1394) cameras, DV camcorders, USB web cams, IP cameras, TV cards, PCI composite cards, USB devices, and plays video clips with frame capture, live video straming and audio broadcasting capabilities. The major features include recording (AVI, WMV, WAV, MP3 and MPEG2 (e.g. with Hauppauge PVR, Plextor ConvertX...), audio/video compression on-the-fly or after recording, direct network streaming, network streaming to a Windows Media Server publishing point, reencoding of video clips, powerful media player with playlist, audio VU-meters, Send to DV, DV timecode, DV date/time, DV camcorder control, motion detection, frame capture, text and graphics overlays, TV tuning, videos built from set of images, screen recording, video cards with multiplexed video inputs, deinterlacing, video rotation, brightness, contrast, hue, saturation, dual display and more. The license price includes 2 years upgrades and support.